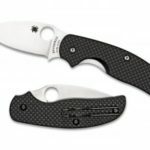 Spyderco is known for making some of the highest quality knives available, using the best possible parts, and engineering them so that they work perfectly for a lifetime. Their Sage line was created as a tribute to innovative knifemakers, showcasing their work with a one of a kind knife. 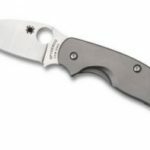 The Sage-1 celebrates Michael Walker’s liner lock system, allowing for one-handed operation and lightning fast opening with just a flick of the thumb. 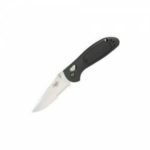 One of the best features of this knife is the CPF-S30V steel, which has been called “the best material for making a blade on the market”. The Sage 1’s blade won’t chip or corrode, holds an edge incredibly well, and is easy to sharpen. The advantages of high-quality steel need to be balanced with the price, but if you’re looking for a durable, razor-sharp knife, CPF-S30V steel can’t be beat. The Sage-1’s handle is incredible, ergonomic and lightweight, it’s been designed to fit well in your hand. The woven carbon fiber has an excellent texture, giving a smooth, satiny feel without being slippery. The handle itself is backed by a steel liner which lends even more durability and a reassuring feeling of solidness and weight. 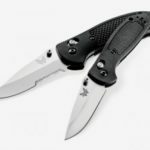 As you might expect from a knife that’s actually been designed around a locking mechanism, the liner lock works flawlessly. 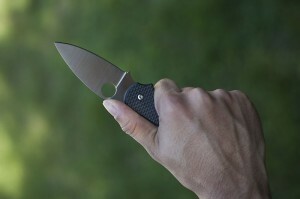 The blade deploys really smoothly, snapping into place securely with a click, and is made for one handed operation. 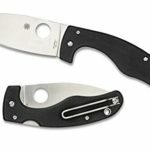 There is very little, if any, play in the knife blade after it’s been opened which makes the knife feel more like a fixed-blade when it’s in use. The entire Sage line is assembled in Taiwan from parts made in the United States. Understandably, some people want to buy knives that are made in America, but if quality is your sole concern then you don’t have to worry. All reports so far have been that the Sage line is very well made. The Sage-1’s Torx construction means that you might need a new screwdriver if you want to take the knife apart for cleaning. While Torx clearly has advantages, being nearly impossible to strip accidentally even when the screws are greasy or dirty, if your knife needs to be taken apart in a hurry you might find yourself without the proper tools close at hand. 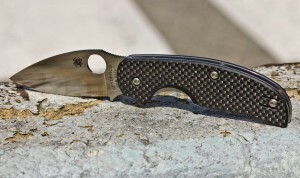 The Sage-1 is an excellent knife for everyday carry. 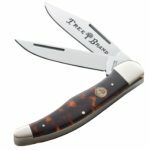 The 3” blade with its non-serrated edge is versatile and just big enough to do what you need it to without adding a lot of extra weight. 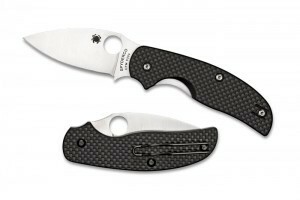 It’s durable enough for everyday use and can even take some punishment, thanks to the carbon fiber handle backed by steel. 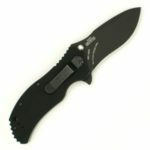 It has an amazingly smooth action, flicking open fast and staying locked in place without any play in the blade at all. If you’re looking for a well-made knife that can stand up to anything you can throw at it, day after day, give the Sage-1 chance and you won’t be sorry.